Many of us who enjoy soaring flight love the Pipistrel Sinus as it offers some wonderful gliding capability. Even the prop can "feather" to reduce drag. It works marvelously and can exceed 50 miles per gallon. U.S. representative Rand Vollmer shows us around the Sinus but then took us outside to see the "Flex" capability. Basically this refers to a variable wing span with extensions that remove in a matter of minutes. You'll want to watch the whole video to see this feature set. Many of us who enjoy soaring flight love the Pipistrel Sinus as it offers some wonderful gliding capability. Even the prop can “feather” to reduce drag. It works marvelously and can exceed 50 miles per gallon. U.S. representative Rand Vollmer shows us around the Sinus but then took us outside to see the “Flex” capability. Basically this refers to a variable wing span with extensions that remove in a matter of minutes. You’ll want to watch the whole video to see this feature set. 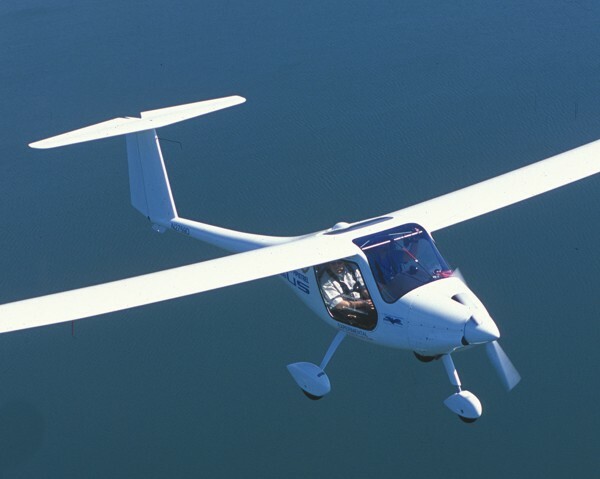 Pipistrel has a wide variety of Light-Sport Aircraft from trikes (where they started long ago) to powered sailplanes to motorgliders to more conventional fixed wing aircraft. In this video we examine the Sinus (pronounced SEEN-us) in taildragger configuration - it is also available in tricycle gear. This impressive company earned SLSA status for three models earlier in 2011 and they are moving up the sales charts. Pipistrel has a wide variety of Light-Sport Aircraft from trikes (where they started long ago) to powered sailplanes to motorgliders to more conventional fixed wing aircraft. In this video we examine the Sinus (pronounced SEEN-us) in taildragger configuration – it is also available in tricycle gear. This impressive company earned SLSA status for three models earlier in 2011 and they are moving up the sales charts. One of the top LSA manufacturers and a coming producer of four seaters is Pipistrel, which I visited last year. Recently the company announced that it completed and delivered its 600th aircraft, after which they shipped it halfway around the globe to Australia. The down under country, presently in its summertime (a warm thought while the Eastern USA digs out from yet another heavy snowstorm), fully accepts ASTM standards. On the occasion of its production of Pipistrel number 600, the Slovenian company with an LSA facility in nearby Italy, also celebrated its 25th anniversary. The twin achievements gave an opportunity for the Pipistrel team of 80 members to pose with aircraft number 600. Regular factory visitor and Australian distributor (also the rep for the United States), Michael Coates joined the photo. 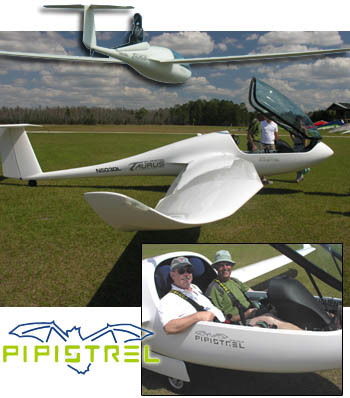 Michael has been a Pipistrel distributor for over 15 years and was chosen as the "Distributor of the Year" in 2012. Today Pipistrel is recognized for its sleek composite designs but the company got its start making weight shift aircraft, or trikes. Including all aircraft types, Pipistrel stated they have built "well over 1200 different aircraft." The Coates distribution organization boasts of selling more than 100 of these employing his team of promoters and dealers on two continents (Australia and the USA). Pipistrel's company network of distributors and dealers operates in 40 countries and the company reported that "our aircraft fly in 67 countries." Pipistrel said it will mark the celebration of its 25th anniversary throughout the year with "special events, achievements and world record attempts." The added, "We are proud to announce that our entire yearly production for 2014 has been sold out already so aircraft number 700 will also be produced [in 2014]! See our video interview with company founder Ivo Boscarol at Aero 2013. One of the top LSA manufacturers and a coming producer of four seaters is Pipistrel, which I visited last year. Recently the company announced that it completed and delivered its 600th aircraft, after which they shipped it halfway around the globe to Australia. The down under country, presently in its summertime (a warm thought while the Eastern USA digs out from yet another heavy snowstorm), fully accepts ASTM standards. On the occasion of its production of Pipistrel number 600, the Slovenian company with an LSA facility in nearby Italy, also celebrated its 25th anniversary. The twin achievements gave an opportunity for the Pipistrel team of 80 members to pose with aircraft number 600. Regular factory visitor and Australian distributor (also the rep for the United States), Michael Coates joined the photo. Michael has been a Pipistrel distributor for over 15 years and was chosen as the “Distributor of the Year” in 2012. Pipistrel's smooth Sinus/Virus family reached 500 units delivered. Proud Pipistrel staff members cluster for a photo celebrating the 500th delivery of the Sinus/Virus line; they grouped around the company's newest model the Alpha Trainer. A new Taurus G2 Electro is about to be unveiled. Dealers and mechanics from around the world gathered at the Pipistrel factory for intensive training. The company's Panthera four-seater is undergoing testing, seen here on the T-Tail structure. Known for their several lucrative wins at the NASA Challenge events, Pipistrel also logged market successes in the USA and around the world during 2012. The manufacturer with a range from weight shift trikes to electric-powered gliders to Light-Sport Aircraft to their four-seat Panther in development has become a company to watch. At the end of the year, the Slovenian company with a production facility in Italy had plenty to discuss. Most notably, the company built their 500th aircraft from the Sinus/Virus family. These sleek machines include the Sinus ("Seen-Us") motorglider, the Virus ("Veer-Us") lightplane and shorter-winged version called the Virus SW. The company proudly announced, "Together with the other models and the powered-hang gliders, this means we have made well over one thousand flying devices!" Aircraft number 500 buyer was Charles Dalglish from Australia. The aircraft was handed over to distributor Michael Coates whose organization includes U.S. sales.This year Coates recorded his 100th delivery. Clearly the year just completed was one of significant numerical achievements for Pipistrel and they gathered their staff to celebrate the occasions (photo). Pipistrel last won at NASA's Green Challenge with their unusual Taurus entry that featured two fuselages joined by a major electric motor housing. That distinctive aircraft was never intended for production but lessons learned resulted in a December 2012 delivery of their updated Taurus G2 Electro to a father and son from New York. Pipistrel reports the G2 has "improved battery management system, more powerful electrical engine, and the charger is now portable as well." The aircraft is capable of delivering more power from the batteries with shorter recharge cycles, providing 1000+ cycles with new lithium-ion batteries. New custom-developed cockpit instruments help inform the pilot. Without well trained dealers and mechanics out in the field, no factory can keep customers or authorities fully satisfied. So, like other top LSA producers, Pipistrel held a dealer training session in their factory in late November. Such gatherings are also a chance to gain feedback from those dealing directly with customers. As Pipistrel reported, "Distributors received important education about maintenance, flight training, new models such as the Alpha Trainer and the Virus SW iS. They also participated in the factory strategic planning by providing market feedback from their countries and new, fresh ideas for our product line." Moving beyond their focus of sporting aircraft, Pipistrel debuted their sleekly shaped entry in the four seater category called the Panthera. The company reports getting many requests for an update on its development. Officials wrote that they've seen "major advancements in three areas: specialized test equipment, aircraft structural tests, and preparation for certification." After designing and building structural testing equipment Pipistrel engineers and technicians were able to perform torsion, stress, and deformation tests of aircraft structures. They report coordinating with European governing authorities at EASA to obtain [initial] approval for certified aircraft production. Pipistrel joins LSA builders — Evektor, Flight Design, and Tecnam — in work on a four seat product (Tecnam and Evektor are underway with even larger models as well). Known for their several lucrative wins at the NASA Challenge events, Pipistrel also logged market successes in the USA and around the world during 2012. The manufacturer with a range from weight shift trikes to electric-powered gliders to Light-Sport Aircraft to their four-seat Panther in development has become a company to watch. At the end of the year, the Slovenian company with a production facility in Italy had plenty to discuss. Most notably, the company built their 500th aircraft from the Sinus/Virus family. These sleek machines include the Sinus (“Seen-Us”) motorglider, the Virus (“Veer-Us”) lightplane and shorter-winged version called the Virus SW. The company proudly announced, “Together with the other models and the powered-hang gliders, this means we have made well over one thousand flying devices!” Aircraft number 500 buyer was Charles Dalglish from Australia. The aircraft was handed over to distributor Michael Coates whose organization includes U.S. sales.This year Coates recorded his 100th delivery. GAMA and LAMA members will meet again at AOPA's Summit. Just in time for this year's AOPA Summit, welcome to a pair of Special Light-Sport Aircraft, numbers 121 and 122: the first, the formerly named NG 5 LSA, rebadged as the Bristell Fastback by importer Liberty Sport Aviation of Pennsylvania; and the second being the fourth approval for Pipistrel, specifically for their Sinus motorglider (previous Pipistrel approvals included the Virus, Virus SW, and Taurus). *** NG 5 LSA was not previously offered in the U.S. though it was sold in Europe as the NG 4 from Roko Aero. When Roko closed its doors production stopped for the NG 4. It became NG 5 as the company reformed into BRM Aero. Changes occur in any industry but Bristell Fastback designer, Milan Bristela, is a steady hand on the joystick known for his foundational work on the SportCruiser (for a year known as the PiperSport) that is presently ranked #2 in U.S. registrations. The Bristell is certainly similar to the SportCruiser/PiperSport though not identical as a close examination at AOPA Summit 2011 will show. |||| Pipistrel is one of those ambitious companies that seems to create new models with ease. Their line is extensive including a weight shift trike, a sailplane (Apis), a self-launched side-by-side motorglider (Taurus), the twin Virus models, plus, now, the Sinus. I first flew the latter as it entered the USA as an Experimental-Exhibition aircraft. Certification rules differ for genuine motorgliders and the company's U.S. representatives first traveled down that path before achieving no less than four SLSA approvals in the last three months. Pipistrel is only bested by Tecnam's five SLSA approvals and is matched only by Jabiru US and ICP/Skykits (which itself is going to new ownership... we commonly see changes in this most dynamic sector of aviation). A regular at air shows, Pipistrel is not on the exhibitor list for AOPA Summit perhaps as they are competing in the NASA Green Challenge, which is scheduled to begin immediately as Summit 2011 ends. 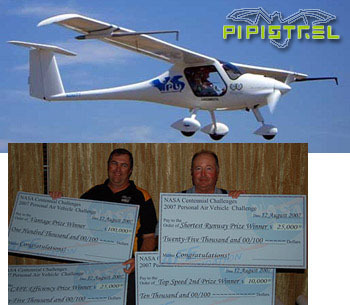 Update 9/21/11 PM — See Pipistrel USA's blog postings about the NASA Green Flight Challenge 2011. |||| Among many other activities at AOPA Summit 2011, GAMA and LAMA will hold the second of a series of strategy meetings with delegates from both LSA and general aviation companies. As LSA further integrate into the broader fleet of aircraft, the general aviation industry is anticipating a rewrite of Part 23 certification rules. While helping LSA to develop and grow into a solid sector of aviation, the "experiment" of industry consensus standards certification offers guidance about how to simplify rules. Put another way, the LSA industry has much to learn but also has fresh experience to offer. *** Kudos to GAMA's staff for their foresight in helping to bring the two groups together. The combined group plans to meet about four times per year at major airshows. Just in time for this year’s AOPA Summit, welcome to a pair of Special Light-Sport Aircraft, numbers 121 and 122: the first, the formerly named NG 5 LSA, rebadged as the Bristell Fastback by importer Liberty Sport Aviation of Pennsylvania; and the second being the fourth approval for Pipistrel, specifically for their Sinus motorglider (previous Pipistrel approvals included the Virus, Virus SW, and Taurus). *** NG 5 LSA was not previously offered in the U.S. though it was sold in Europe as the NG 4 from Roko Aero. When Roko closed its doors production stopped for the NG 4. It became NG 5 as the company reformed into BRM Aero. Changes occur in any industry but Bristell Fastback designer, Milan Bristela, is a steady hand on the joystick known for his foundational work on the SportCruiser (for a year known as the PiperSport) that is presently ranked #2 in U.S. Performance is one of the great strengths of this design, with a 28-to-1 glide angle (still 18-to-1 at 80 mph), and a sink rate of 200 fpm. AMERICAN REP - Robert Mudd, an accomplished and enthusiastic soaring pilot, represents the lovely (but oddly named) Sinus in the United States. We flew 45 minutes engine off. Excellent! PARACHUTE COMPONENTS - Though a tidy installation, this bridle is exposed to the sun and creates unnecessary drag; still, I always prefer to have this equipment on board. CURVACEOUS WING - The very streamlined shape of the Sinus is topped only by its lovely wing, the effort of the sailplane maker's highly refined art. Just look at the maneuvers of that leading edge. STRING & RADIATOR - The buried radiator is what you see first, but a closer look will reveal one of the most useful instruments that will never run out of power: the humble yaw string. COMFY SEATS - I don't know why anyone wants a sheepskin cover in these already comfortable seats. SIMPLE PANEL - The lovely carbon panel has sufficient room when you use an electronic instrument like this Brauniger Alpha multi-function display. TEE-TAIL - The T-tail is obvious. Less so is the total energy probe that takes out climb and glide zooms from real lift or sink, highly useful information sought by soaring pilots. AIRBRAKES - These big surfaces add drag to the Sinus' 49-foot span and haul the plane from 200 fpm best sink to almost 1,100 fpm, handy when you're trying to land this long-gliding airplane. WORLD CHAMP - Not only has the Sinus won championships with its efficiency, it has been flown around the world (See April 2005 Ultralight Flying!). The plane's long glide (almost 30:1) was probably very reassuring on the long trip. TWO WAYS DOWN - Two handles in this photo will get you down. The ballistic parachute is obvious but most pilots are unfamiliar with the airbrake handle forward of the red parachute handle. Many Americans will agree the name of this aircraft is odd, and that may be a kind word for the common reaction to "Sinus." Is the name that important? Sinus (pronounced Seen-us), the aircraft, is a sleek, slender machine capable of impressive performance. Any soaring-attuned pilot can easily live with the name Sinus for the 49-foot span and, get this, 28-to-1 glide performance! On first glance, except for its elegant, shapely, and thin wings, the Sinus looks like a proper light sport airplane. Pilot Matevz Lenarcic flew one around the world solo, in 80 days, and with zero ground or air support (see "Microlight Motorglider Flies Around the World," April '05 UltralightFlying! magazine). What's In a Name After All? Let's consider that name. U.S. dealer Robert Mudd says Pipistrel - the manufacturer - prefers to pronounce it "seen-us," not "sighn-us." They say this refers to a perfect sound wave or sine wave rather than a head cold. Oddly the word "sine" wave sounds closer to the head cold, but maybe we're splitting hairs here. Who cares about the name? In the same vein, Pipistrel's shorter-wing model, the Virus (with a mere 40 feet of span) should be pronounced "veer-us" not "vyr-us." Evidently the mother tongue of Pipistrel articulates letter combinations differently. Get used to it and fly the plane. What's not to love? I flew in a Sinus registered as N-2759D, with Mudd, who is based in Moriarity, New Mexico. I can say I anticipated this flight since I first saw the plane at a French airshow back in the early 2000s. The soaring pilot in me was impressed with the glide and sink performance, and the full-feathering prop. But the aviator in me was drawn to those lovely wings with their multiple compounds and svelte, lean shape that carries right out to the upturned winglets at the 49-foot-plus mark. The Sinus is built in Slovenia, a now independent country once part of Yugoslavia. Slovenia is south of Austria and just east of Italy. The designer of the Sinus, Ivo Boscarol, started his enterprise in Yugoslavia where he built trikes that sold throughout Europe (though none came to the USA). As time passed Boscarol also branched out into propellers and took on a dealership for Rotax engines. Eleven years ago, Boscarol saw the changes coming to microlight aviation in Europe and created the Sinus. His first thought was to make an aircraft that could easily be used for training glider pilots. Flying sailplanes is a major segment of aviation in Europe so his instinct showed foresight. He also reasoned that such a motorglider could be used for cross-country flying for those not into soaring, and a long-gliding aircraft could be useful - and safer - in heavily mountainous Europe. By the 1995 Aero show in Friedrichshafen, Germany, the Sinus was debuted and quickly found a receptive market, enough so that close to 200 have been sold. Nearly all Sinus motorgliders remain in Europe, but through Michael Coates' Australian-based dealership, some are starting to arrive in America. The Sinus' wings disconnect readily and all wing controls connect automatically when the wings are refitted. A series of bolts and pins make for secure connections. Both spar ends taper as they approach the opposite side of the cabin and from inside the cockpit you can see how they fit together. A large bolt anchors the spar on each side. But the spar ends are also braced fore and aft with a triangulated center structure (see photo). Mudd says it takes 20 minutes for two or three people to remove the wings. It can also be done with two people and a wingtip stand. 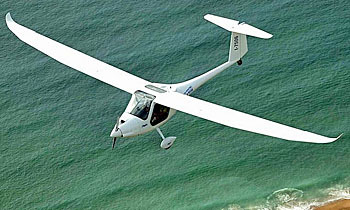 Stunning Wings Ultralights and light-sport aircraft (LSA) commonly use wingspans of 28 to 32 feet. The Sinus reaches way out to 49 feet, 11¼3 inches. While this yields a very impressive 28-to-1 glide performance, it also means you've got to be careful when taxiing the Sinus between rows of aircraft or near hangars. The task is even more challenging given the aft swept and tipped up wings. The wings have three control surfaces on them. The Sinus has ailerons, as you'd expect, though they are also way out there and therefore generate quite a bit of adverse yaw. And the airplane has flaps with four positions; neutral plus two go down and one goes up in a nod to another common European design feature not often used in the U.S. When flaps reflex, or move upward slightly, they can add to the speed performance of a wing. On the Sinus, flaps produce more wing shaping than pure drag, such that when you take off in this long-winged bird, you may and often will use the most extended flap setting. To find enough drag to get this long-gliding aircraft back on terra firma, the Sinus has airbrakes, sometimes called spoilers though the two terms are not truly interchangeable. Spoilers are not identical to airbrakes in that the former can also be used for steering if so designed where airbrakes produce drag and reduce lift. Most modern airliners use spoilers for both purposes. When landing the Sinus, deployment of the airbrakes and moving the flaps to the reflexed setting helps to transfer the aircraft weight from the wings to the wheels, which helps plant the Sinus securely on the ground and adds to wheel braking effectiveness. Interior Volume Inside the Sinus' cockpit, I found plenty of room for normal-sized persons, though even the factory states the pilot height limit is 6 feet, 4 inches. Rudder pedals can adjust to accommodate longer- or shorter-legged occupants. Visibility is also quite good, certainly to the sides through the large windows built into the gull-wing doors. Forward visibility is significantly more limited by a fairly high instrument panel; especially the way the panel rises up in the middle. You can see out the front fine on approach to landing but during flare, shorter pilots may need to refer to the side view for touchdown, much like you have to on some large engine taildraggers. (This Sinus was equipped with tricycle gear and even that did not help this quality much.) A wide but rather narrow overhead skylight helps upward visibility in some cases, but it's overhead where the Sinus has its greatest drawback. I'm of average height (5 feet,10 inches), and as I leaned forward in the seat, my head touched the spars running across the top of the cabin. I could probably live with this - though I'd be tempted to wear a helmet - but a pilot taller than I should definitely sit in the aircraft to evaluate headroom. One tall pilot I spoke to ruled out the Sinus as a choice because he would hit the spar in any forward jolt and this could be quite serious. In addition, the bracing structure to the spars, consisting of stainless steel tubing, is directly overhead each seat. If you're tall and if turbulence caused you to rise in your seat (seat belts not tightly fastened), you might strike your head firmly. It's a shame that this interior design is potentially limiting because otherwise the cabin is well designed and comfortable. You'll want to check out your fit before buying a Sinus. The seats are comfortably padded and have a small headrest. Four-point pilot restraints are provided and, as I stated, you'll probably want them snugged firmly to keep you in position. Since soaring flight is normally conducted in air that most pilots would call turbulent, tightly securing seat belts is standard operating procedure. Like cabin height, width also suggests you must be on the lean side. While 43 inches compares well with a Cessna 172, it's not as broad as many of the new LSA, some of which hit 50 inches or even more. The dual joysticks and control placements are convenient to both occupants and the instrument panel is within easy reach to read and adjust instruments. Throttle and trim are located just aft of the T-panel. About at your inside hip is the flap lever, clearly marked with a minus sign, a zero, a plus sign, and a double plus sign, which are interpreted as reflexed (upward), neutral, one notch of down flaps, and two notches. Between the occupants just below the spar carry-throughs is a hefty handle that some might think is the flap handle. Instead this is the airbrake handle. It has a lever to release the brakes from the locked-down position. Mudd says such brakes are referred to as Schempp-Hirth-type airbrakes, and the handle comes down slightly before airbrakes are deployed. As you pull it down, the brakes jump out of the wing and begin their drag production. You can feel it as though you'd hit the brakes in your car fairly firmly. The airbrakes can be used intermittently to finely adjust your descent rate on approach to landing. Once you've touched down, having them full on assures you stay put on the runway better than if they are retracted. Near the airbrake handle in our test Sinus was a ballistic parachute handle. The handle shapes are very different and they aren't positioned close to one another but you'll want to be sure which one you're grabbing. The Sinus has a 40-pound baggage capacity in a sack aft of the seats, but in our test plane, a ballistic emergency parachute system took up a good share of that capacity. For me, this is a worthy tradeoff, as I like emergency parachutes. Others may lament the loss of baggage capacity. Your toes activate wheel brakes, though they are small lever arms that you should look at before climbing in the seat. More Up Than Down With its wonderfully long glide and slow sink rate (about 200 fpm, which is far better than what most LSA can achieve), the Sinus is a flying machine meant to say up. And given its 81-horse Rotax 912, the climb rate is also excellent at about 1,200 to 1,300 fpm. Folks have asked Mudd about the 100-hp Rotax 912S, but such added power isn't needed and might invite more problems than it solves, Mudd says. The fact remains that Pipistrel still sells the Sinus with a 50-hp Rotax 503 with which I'm told it flies quite well. With the 81 horses pulling, takeoff roll is quite brief. The factory states it takes less than 300 feet and that matched my experience. Liftoff speed is low, with stall occurring at around 40 mph. The plane smoothly departs the surface and pitch control is reasonable throughout climb at the recommended 75 mph. Powered cruise is quite brisk despite the very long wings. The Sinus can manage 134 mph, says the factory. In my flight we weren't quite this fast, but Mudd was handling the prop control and perhaps it wasn't optimized for the fastest cruise speed. Never exceed speed is 141 mph. The prop control is much like a vernier throttle where movement of the large knurled knob finely adjusts the prop pitch. By holding a collar behind the knob you can move the control more coarsely to more swiftly put the blades into a fully feathered - or streamlined - position. You'll want to rehearse this procedure in the 5 hours of instruction you'll receive with the purchase of a Sinus. In flying earlier ultralights, we commonly lead with the rudder and followed with the aileron, generally the opposite of a general aviation airplane. Slower flying ultralights of yesteryear were rudder-dominated flying machines. So are sailplanes and the Sinus is closer to a sailplane than short-wing, highly loaded airplanes. Given its 49-foot wingspan, you need to initiate yawing action before banking the wings into the turn. Using the rudder and easing in ailerons as needed accomplish this smoothly. From the performance of such long wings, you'll also need to use a little "high siding," or use of opposite aileron to keep from overbanking. You may also need to use a bit of opposite rudder with the aileron. Regardless of the technique, which will come quickly enough since you'll be practicing a lot while trying to circle in thermals, those wings really do a job at holding up this 1,200 pound flying machine. This was really the part I loved. It wasn't that I was immediately good at thermaling flight, but the Sinus will sustain altitude in almost any air and will rise readily when you find lift in a thermal. Listening to and watching the variometer as it recorded lifting or descending movements was exciting for an old soaring pilot like me. The beeps of lift were easily encouraged while the steady tone of sink told me I was slipping out of the main lift area. I could circle for days refining this exquisite art of lift optimization. Soaring pilots know that no two thermals are identical and no two days produce identical thermals, so the mystery of thermal soaring flight is never fully understood nor mastered. This ever-changing medium is precisely what makes thermal soaring so fascinating. With practice, however, you can become very proficient with the technique and suddenly you'll notice you've been flying for hours without the engine running. Excellent! If you're a stick wiggler who likes to maneuver, the Sinus motorglider ought to be in serious contention for your buying dollars. If you prefer to fly as fast as you can in the straightest possible line, then you need a completely different kind of airplane. When you soar the Sinus, your hands and feet are always doing something. It isn't hard to fly; that isn't the reason for the constant effort. To maximize lift like thermals means a series of circles flown with the greatest possible finesse and that means almost constantly moving the controls. I love this kind of flying, so I liked the Sinus. You might not care for this in the least but fortunately that doesn't mean you'll hate the Sinus. It only means you won't be using it to its full potential. With its great ability to optimize lift, perhaps you won't be surprised to hear that the Sinus stalls mildly. Such designs are intended to be flown for long periods at just above stall (where thermal flying is commonly done). The Sinus will stall, of course, but the action is quite unthreatening. I examined stalls in turns because you'll be turning a lot in the Sinus while soaring. Accelerated stalls were very modest, the nose breaking forward and the wings returning to level, slowly, but steadily. It gave me confidence to bank the airplane steeply when trying to stay in - or "core" - thermals, knowing I was quite unlikely to fall steeply out of a stall Catching a Sinus (the Aircraft) The sales program for the Sinus in the USA is quite a bit different than many aircraft as the importer tries to provide some protection from America's legal liability situation. 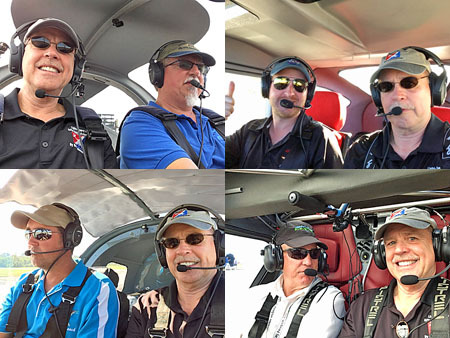 Australian Michael Coates made a deal with Pipistrel owner Ivo Boscarol where the orders are handled through Coates via the down-under nation and the U.S.-based dealers receive direct shipment of the airplane. As mentioned earlier, 5 hours of training goes with the purchase price as a safety incentive. You also get instructions on the Brauniger instrument and on in-air restarts. This is a worthy offer and one every buyer should plan to accept. In late summer '05, the price was stated at $76,000 though this fluctuates with exchange rates. If you go to the Pipistrel-USA Website, the dollar/euro pricing changes automatically and regularly to reflect the current exchange rate. The $76,000 price is for a tailwheel model and no total energy compensation. The latter is something sailplane pilots understand and is a static source system that helps factor out "fake" lift from real lift. Fake lift can come from stick movements that use energy to ascend. Sailplane pilots call this a "stick thermal," and it can deceive you from sensing genuine lift. Total energy compensation removes this effect from the variometer readout. A nosewheel on the Sinus adds $1,700 but you might save that in insurance cost or generally be able to buy insurance. Obtaining insurance for taildraggers operations is much harder unless you already have a good amount of tailwheel experience. The Sinus is manufactured in Slovenia, a country that does not have a bilateral agreement with the U.S. This fact, plus its in-flight adjustable- pitch prop, means the Sinus cannot currently qualify as a light-sport aircraft. That leaves a potential buyer with two options. You can obtain the Sinus as a kit and that's the best alternative for someone who wants to fly this aircraft over longer distances. The Sinus is already available as a kit, which the factory says will take 200 to 400 hours to complete. At present, U.S. dealer Robert Mudd is planning to build a Sinus from kit form to use in going through the process of obtaining FAA approval under the Amateur-built (51%) rule. Once added to the FAA's list of approved aircraft, the process becomes realistic for customers. The difference in the 200- or 400-hour time estimate deals with the two fuselage halves. The kit with the lower time has these halves assembled and finished by the factory where the 400-hour kit fuselage comes separately. Other than this more significant task, I understand that building a Sinus is merely an assembly job not so different than other kits. Mudd says the Pipistrel kits tend to include everything you need, including the engine and prop, instruments, and all accessory items - all you'll need to go flying is fuel in the tank. The other option is to buy a Sinus as an Experimental aircraft in the Exhibition or Racing category, which is how the few presently flying in the U.S. are being flown. This will limit the buyer to flights within a 300-nautical-mile radius, which for many soaring enthusiasts may actually be sufficient.However, Mudd explains, you can submit a written list for a year in advance for places you want to go (airshows or contests, for example,) and then you can go as planned without having to ask for further permission. Should you choose to go to a location not on your original list, you submit an amendment, fax it to the appropriate FAA Flight Standards District Office (FSDO) and you don't need to wait for a reply. However, asking to take a fully built Sinus from California to Florida for a few days of flying probably won't be approved. This method may work for some buyers but Mudd's effort to gain kit approval will surely help him sell more of this impressive motorglider. Putting a finer point on the acquisition, the 400-hour kit (fuselage not assembled) will cost about $66,000 depending on dollar/euro currency fluctuations. The finished fuselage 200-hour kit jumps $7,000 to $73,000 and a fully built tricycle gear Sinus was selling for $78,000 in August 2005. If you can be content with the Rotax 503, which I did not test but which supposedly has plenty of power, you can save more than $13,000. For all the details of purchase, you'll want to talk to Robert Mudd and he'll have more answers after he completes his kit and requests FAA approval as an Amateur-built Experimental-class aircraft. But for pure flying pleasure, the Sinus is a fine choice in my experience. As a realistic and affordable motorglider, it's one of the best aircraft I've had the opportunity to fly. Dan Johnsonhas been flying for more than 30 years, logging nearly 5,000 hours in many types of aircraft from hang gliders and paragliders to ultralights, sailplanes and twin-engine general aviation aircraft. Dan is an FAA-rated commercial pilot and CFI whose focus these days is on ultralights and light-sport aircraft. He has flown and photographed more than 250 different models in a writing career spanning more than 25 years. Dan is the 1999 recipient of the USUA Moody Award, and the 2001 recipient of the "Spirit of Flight" Award sponsored by the Society of Experimental Test Pilots (SETP). A large number of Dan's pilot reports and other informational articles may be found at his Website: www. Notes: Propeller: 2-blade, controllable pitch with full feathering. Standard Features 81-hp Rotax 912 (as tested), electronic instrument with ASI, VSI, altimeter, water temp, EGT, CHT, tachometer, fuel gauge, auto hours logging, fully enclosed cabin with gull-wing doors, removable wings, in-flight trim, flaps, remote choke, shock-absorbing gear, steerable nosewheel, hydraulic brakes. Options 50-hp Rotax 503, additional instruments, and ballistic parachute. Construction Composite airframe, wing, fuselage, and tail with steel components. Made in Slovenia; imported by Australian-owned company, distributed by U.S. business. Pros - Elegant design, especially the long, lovely, and shapely wings that extend to almost 50 feet of span. Efficient performer should satisfy most soaring pilots. All composite materials using extensive sailplane-building technologies. Well "tested" by an around-the-world flight. Tricycle or taildragger, kit or finished versions available. Cons - The Sinus cannot presently qualify as a light-sport aircraft because it comes from a country without the required bilateral agreement with the U.S., and because of its in-flight adjustable prop. Design is so optimized to its soaring purpose that it may not satisfy those whose interest in soaring is only occasional. 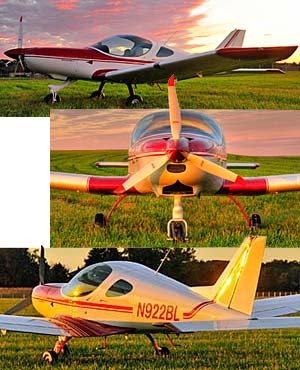 Pros - Well designed aircraft with a plethora of systems: electric starting, in-flight trim, flaps including a reflex range, adjustable pitch to full feathering prop, airbrakes. Panel is an easy reach as are all controls regardless of which seat you occupy. Easy engine access under cowling. Cons - At least one system, the adjustable prop, knocks the Sinus out of the LSA category yet without it, the soaring performance would suffer somewhat. Fuel on top of wing may require a boost for access for some folks (though another system for refueling is also available; ask dealer). No trim or flap indicator other than lever position. Pros - Adequate panel space for most instruments, though the standard Brauniger Alpha multi-function display uses space well and leaves room for more gauges. Both sides of panel have a roomy compartment for maps and other items you need in flight. A 40-pound baggage area is provided aft of the seats. Adjustable rudder pedals. Cons - Cabin structure with a spar and steel components barely over the head of average-sized pilots, and may be a significant problem for tall pilots. Maximum pilot height stated at 6 feet, 4 inches. If the emergency ballistic parachute system is ordered, much of the baggage space will be used for this purpose. Pros - The Sinus comes with toe brakes in both positions. Rudder pedals adjust for comfort and optimal control. Excellent lateral visibility through large windows in gull-wing doors. Ground maneuvering aided by differential braking, adding to direct nosewheel linkage. Adequate ground clearance for turf field operations. Cons - With nearly 50 feet of span and a swept-back wingtip, taxiing in crowded conditions can be worrisome; you can't see the tips while seated. Turn radius also somewhat wide (though tighter than it appears). Forward visibility is limited by the high instrument panel, even in tricycle gear model. Pros - Rotax 912 engine gives the Sinus more than adequate power, allowing takeoff in less than 300 feet (under 400 feet even with the Rotax 503). Landing visibility is good. Energy retention is, understandably, excellent. Making the landing field was never easier with Sinus' 28-to-1 glide and low sink. Cons - The long glide and low sink rate of the Sinus demand that you are familiar with using the airbrakes (they help a great deal). Landings will require a slightly longer strip than takeoff. Flaps tend not to add much drag, by design. Crosswind landings aren't hard but watch those long wings. Pros - Controls felt nice and fluid at all speeds. Stick-and-rudder forces were modest yet offered feedback. No problem with precision turns. Harmony was surprisingly good for a sailplane-type aircraft (which are normally rudder dominated). Roll rate is a fairly snappy 4+ seconds for 45°-to-45° test. Cons - Best to slightly lead with the rudder and follow with the ailerons, requiring relearning new techniques for most power pilots (though not sailplane or ultralight pilots). Adverse yaw is understandably significant given that the ailerons are far out from the fuselage. Steep turns require some high siding. Pros - Performance is one of the great strengths of this design; with a 28-to-1 glide angle (still 18-to-1 at 80 mph) and a sink rate of 200 fpm (the latter about what a modern hang glider achieves). Cruise is right at the upper end of the LSA parameters (134 mph), yet stall is low (40 mph). Fuel use at cruise is a low 3.5 gph. Climb is also strong at 1,200 fpm. Cons - If you're not looking for a long glide and a low sink rate, the Sinus may not be your next airplane. No other performance negatives. Pros - In all stalls tested, recovery was very quick and the airplane's response was benign. The Sinus can fly comfortably at just above stall (40 mph), no surprise since that's where most thermal flying is done. Longitudinal stability was good. Pitch response to engine changes were normal. Cons - Adverse yaw is rather significant due primarily to the aileron's long distance from the fuselage. Slightly leading with the rudder is the right technique but pilots forgetting this fact will not have well- coordinated turns. No spins tested. No other negatives. Pros - Former trike-building company made a clean-sheet design that most regard as very impressive looking; elegant and sleek. 'Round-the- world flight proves abilities as does winning microlight championship. Rotax 503 model is modestly priced and said to perform well. Nearly 200 flying worldwide. Cons - The Sinus is built in Slovenia, which has no U.S. bilateral agreement, meaning the Sinus cannot presently be a LSA. Must build from kit (200 to 400 hours; see article) or fly under Experimental/Exhibition (which may be okay if soaring is your only interest). Kit instructions not examined. Few flying in U.S. at present. Many Americans will agree the name of this aircraft is odd, and that may be a kind word for the common reaction to “Sinus.” Is the name that important? Sinus (pronounced Seen-us), the aircraft, is a sleek, slender machine capable of impressive performance. Any soaring-attuned pilot can easily live with the name Sinus for the 49-foot span and, get this, 28-to-1 glide performance! On first glance, except for its elegant, shapely, and thin wings, the Sinus looks like a proper light sport airplane. Pilot Matevz Lenarcic flew one around the world solo, in 80 days, and with zero ground or air support (see “Microlight Motorglider Flies Around the World,” April ’05 UltralightFlying! magazine). What’s In a Name After All? Let’s consider that name. U.S. dealer Robert Mudd says Pipistrel – the manufacturer – prefers to pronounce it “seen-us,” not “sighn-us.” They say this refers to a perfect sound wave or sine wave rather than a head cold. Money from the Sky; Pipistrel Wins Big! The next PAV Challenge will take place August 2-10, 2008 with tougher standards but even more dough: $300,000, part of $2 million NASA has put up for the contest series. I've been asked to help judge the 2008 event for the Editor's Jury Prize of $50,000. Sounds like fun! We've all heard the line: To make a small fortune in aviation, start with a big one. Yet thanks to Comparative Aircraft Flight Efficiency (CAFE) Foundation and NASA, the laws of gravity seem reversed. A Pipistrel Virus (say: "VeerUs") went home from the Personal Air Vehicle (PAV) Challenge event with four checks totaling (are you ready for this!? ): $160,000. The money represents the biggest share of $250,000 awared for this first year of five contest seasons. 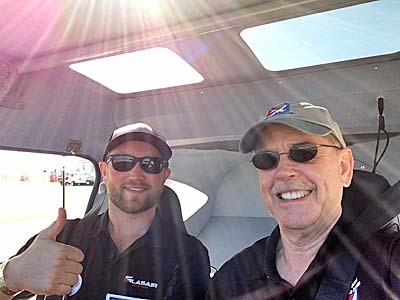 Australian pilot and LSA businessman Michael Coates flew a modified version of the Pipistrel Virus owned by Vance Turner (photo, on right) of Rescue, California. Lots more details are available; read the rest of the story. *** Virus, sibling of the motorglider Sinus. ("SeenUs"), took the best overall prize ($100,000); efficiency ($25,000); short runway ($25,000); and second place in the top speed prize ($10,000). An RV-4 took noise ($50,000) and top speed ($15,000) and a Cessna 172 won the $25,000 handling qualities prize. *** The PAV Challenge is one of seven NASA events aimed at stimulating rapid innovation and progress by offering substantial prize awards, kind of an X-Prize for efficiency. We’ve all heard the line: To make a small fortune in aviation, start with a big one. Yet thanks to Comparative Aircraft Flight Efficiency (CAFE) Foundation and NASA, the laws of gravity seem reversed. A Pipistrel Virus (say: “VeerUs”) went home from the Personal Air Vehicle (PAV) Challenge event with four checks totaling (are you ready for this!? ): $160,000. The money represents the biggest share of $250,000 awared for this first year of five contest seasons. 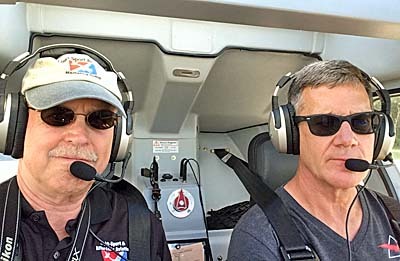 Australian pilot and LSA businessman Michael Coates flew a modified version of the Pipistrel Virus owned by Vance Turner (photo, on right) of Rescue, California. Lots more details are available; read the rest of the story. *** Virus, sibling of the motorglider Sinus. (“SeenUs”), took the best overall prize ($100,000); efficiency ($25,000); short runway ($25,000); and second place in the top speed prize ($10,000). Once aloft and catching thermals, Dave (left seat) and I removed our headsets, listening only to a bit of air flow and the chirping of the variometer that tells you if you're in lift or sink. Sweet! With its center instrument panel, leg room is abundant. Taurus is flown with an Experimental--Air Race designation. Some of you know the Pipistrel line. Americans have seen two of their models: the Sinus and Virus (yep, those awkward, even distasteful names...except representatives prefer to say SEEN-us and VEER-us). Fortunately Taurus is easier on the American tongue, thanks to Ford and its auto model by the same name. *** I discovered Taurus is also easy on the ears as I went for a two-hour soaring flight from Wallaby Ranch with my hang gliding friend, David Ledford. His side-by-side Taurus -- roomy for a soaring machine -- glides beyond 40:1 and manages a sink rate barely more than 100 fpm. Those numbers translate into plenty of soaring power as we proved on a day with modest convective lift. *** Taurus is a self-launched sailplane, rather than a motorglider like Urban Air's Lambada or Pipistrel's own Sinus. To get aloft, we were powered by a Rotax 503 two-stroke engine that fits neatly into a cavity aft of the cockpit. Taurus' main landing gear retracts into the belly and once you've gotten 3,000 feet or so above the surface, you shut down the engine, straighten the prop, and electrically hide the noisemaker under doors that shut tight. Then, ahhh...the silence starts. Some of you know the Pipistrel line. Americans have seen two of their models: the Sinus and Virus (yep, those awkward, even distasteful names…except representatives prefer to say SEEN-us and VEER-us). Fortunately Taurus is easier on the American tongue, thanks to Ford and its auto model by the same name. *** I discovered Taurus is also easy on the ears as I went for a two-hour soaring flight from Wallaby Ranch with my hang gliding friend, David Ledford. His side-by-side Taurus — roomy for a soaring machine — glides beyond 40:1 and manages a sink rate barely more than 100 fpm. Those numbers translate into plenty of soaring power as we proved on a day with modest convective lift. *** Taurus is a self-launched sailplane, rather than a motorglider like Urban Air’s Lambada or Pipistrel’s own Sinus. To get aloft, we were powered by a Rotax 503 two-stroke engine that fits neatly into a cavity aft of the cockpit.